Amaranthus Green Thumb Amaranthus Hypochondriacus is a hardy annual with upright growth habit. Commonly called Prince-of-Wales Feather and Prince's Feather, this Amaranthus can be easily started from seeds. 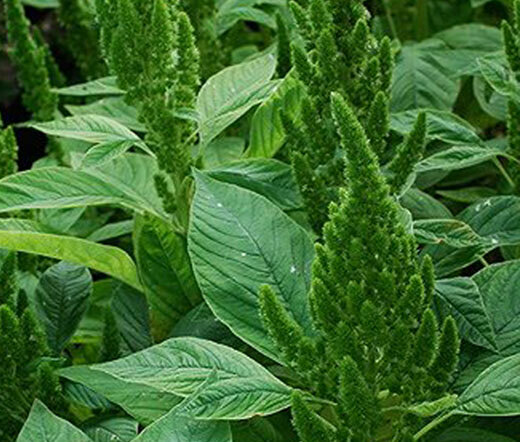 Amaranthus Green Thumb features dark-green foliage with oval leaves and produces unique, upright, apple-green flower spikes. Amaranthus grows fast starting to bloom in late spring and bloloming nonstop all summer long. Amaranthus Green Thumb makes a perfect bedding plant, and this flowering, foliage plant looks great in borders, works well in containers, and can be grown as a temporary substitute for shrubbery. Amaranthus Hypochondriacus grows best in full sun and requires a moist, rich and well-drained soil. Amaranthus is an excellent cut flowers for fresh or dried floral arrangements.